It wasn’t long ago Hairfinity came to London to launch their hair vitamin with no other celebrity endorsement than Kim Kardashian and her sister Khloe. As a person this would mean nothing to me as I know major businesses hype up their products with celebrity endorsement in order to increase awareness and of course grow their brand. As a hair expert and educator, this cannot be ignored for various reasons. Clients with major hair problems who are struggling to grow their hair have now been fed with imagination and make believe that their hair will grow like Kim Kardashians’ and in no time too. This is fraudulent – running with people’s imagination and feeding them with lies. If this were about anti-aging and health care; advertising standards would have been after this company with laws to force them to tell the truth about their product. I find this line of advertising a bit too much to deal with at least for the ignorant. I have no personal problems with Kim Kardashian. She is absolutely gorgeous and I adore her in her own right. Her business acumen is also enviable in every way. She has grown an empire that is beyond imagination. What I will not agree with is lying to the public especially on hair growth. If she was asked to give celebrity endorsement for hair extensions or wigs, she would have been perfect for the job. For someone who’s image like the rest of the celebrities including myself occasionally depend on wigs and hair etensions; need to tell the truth to their audience and stop feeding people with tales and lies. For another point, Kim is struggling with her natural hair as the excessive hair extensions has taken a toll on her hair. Would Hairfinity tell us that her hair problem have been solved hence the need for the hair vitamin? If this is the case then we have to see the roots of her hair to be convinced and for how long did she take this tablets to give her the growth she needed. If there is no truth about this, then this is simply unfair to gullible people who believe every hype that is thrown at them. B-Vitamin complex nourishes and supports a healthy scalp and hair growth. Biotin helps produce keratin, increases hair elasticity, and protects the hair from becoming dry. It also helps thicken the hair to give the appearance of fullness. Antioxidant supplements such as Vitamin C are believed to stimulate hair growth by enhancing the immune function and improving scalp health at a cellular level. Vitamin D helps prevent hair shedding which is critical to a voluminous fuller head of hair. Silica (Horsetail Extract) helps to maintain collagen and hair elasticity to help keep hair lustrous. The sulfur provided by MSM is required for healthy collagen and keratin, which are essential to healthy hair growth. All of us seek beautiful hair and especially now every woman want to be like the celebrities hence Kim Kardashian is chosen to be the face of Hairfinity. We can all help our hair to stay healthy and grow without going the route of popping too many expensive pills like Hairfinity. If you are not one for hair extensions and wigs which gives quicker result like Kim, then there are things you need to do to avoid the hype and grow your hair naturally. It starts from inside with eating the right food. Healthy food inside makes us beautiful and healthy on the outside. This is what Hairfinity and the rest hair growing tablets will not tell you. This is called hype and business marketing. Eat protein rich foods as hair comes from a protein called Keratin. Drink lots of water as it is not only for the functioning of the body but also flushes out toxins. Fruits and vegetables are all some of the things to consider and many more. While we do not support hype and confusion on how to grow hair, we also know that the hairstyles you wear, the products you use on your hair and the attention you give to your hair will all add up to either help your hair grow or completely damage your hair. For more information or advise, please contact us. Joy is an award winning Natural Hair fashion educator and designer. She is a celebrity natural hair designer and trainer to celebrity stylist. She is the CEO of World of Braiding & Extensions Ltd.
Joy is a graduate of Business, a State Registered Hairdresser (SRH), a business entrepreneur, educator, trainer, teacher, Natural Hair & Extensions Designer & Carer, Natural Hair Consultant, NLP practitioner and motivational speaker. 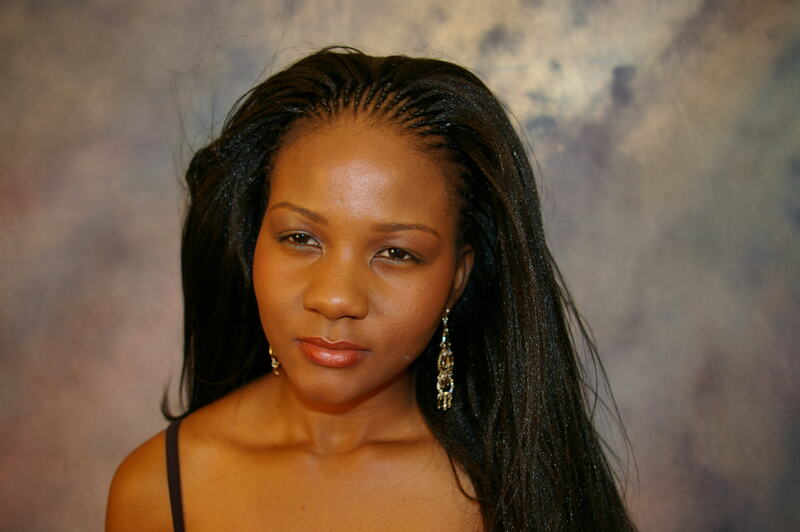 She has been braiding since the age of 5 and teaching natural hairstyles – Hair Braiding, Weaves & Extensions since 2003. Prior to setting up World of Braiding & Extensions. She has spent 12 years in Natural Hair Education and Designs and 15 years in various Corporate responsibilities and careers with varied organizations and in various continents; Currently teaching the world from the internet as a Youtuber with over 8millions views and counting Joy brings on a wealth of knowledge ranging from being a mother in Business, a wife, a business owner who started from Africa and now runs her business in the West etc. You have a lot to gain from this wonderful, full of energy and ready to share knowledge woman. “The good thing about your videos is that you are so bold and honest because you know exactly what you are talking about.Besides,you just don’t focus on braiding hair,but also on all the other aspects of it(customer service,what to consider to be successful in the business,natural hair care…)That was just firing me up! I was getting better everyday and started braiding at home (mid May 2013), all by Faith! I wasn’t professional at all,but was working hard on that!I’m proud of my improvements today and can’t thank you enough for your insightful videos.We haven’t met yet,but I consider you as an African sister who just wants everyone to succeed .I see your business is prosperous and by God’s Grace I’m hoping mine will expand as well.And of course,I hope to work closely with you in order to get there! Well,thank you so much for your time ,Joy! Please check my pictures out when you get a chance and your advice would be greatly appreciated.